"This is a very exciting time for SRI Performance", said Greg Fornelli, owner of SCSA and SRI Performance. "With our recent acquisitions of TJ's Motorsports Warehouse, CV Products chassis and suspension products and Trackside sales program, and now Roush Yates Performance Products, SRI Performance has a strong and stable foundation for the future. Combining the strengths of all three companies, we look forward to providing our customers with industry leading knowledge, service and quality products. 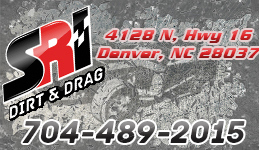 Earlier in 2015, SRI purchased TJ's Motorsports Warehouse, located at 4128 North Highway 16 in Denver, N.C. TJ's is known for its drag racing and dirt racing expertise. 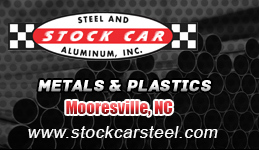 The company supports grassroots racers and tracks across the entire Southeast. In November, SRI-Supplies purchased the chassis, suspension and Professional Race Service (PRS) Trackside programs from CV Products. In late December, SRI negotiated the purchase of Roush Yates Performance Products, the inventory assets from both acquisitions are now at one location, 122 Knob Hill Rd. SRI Performance plans to continue to build upon the successes of both CV Products and Roush Yates Performance Products in the motorsports and street performance markets. 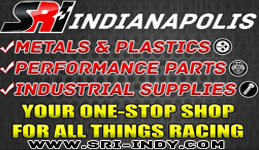 SRI Performance will specialize in products for all forms of racing and street performance. This will consist of chassis, engine, suspension, and used performance products. SRI Performance will now operate a Trackside Sales program for NASCAR sanctioned events with a fully outfitted hauler along with a second hauler for short track events in the United States. 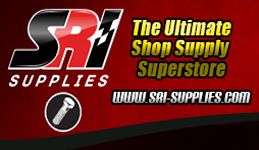 SRI-Supplies will be located at 107 Overhill Drive and will continue to distribute race shop supplies which include body shop, fabrication and industrial supplies. The SRI Performance store, located at 122 Knob Hill Road, Mooresville, N.C., will open for business, today, Monday, January 4, 2016. The transition will be done seamlessly and without interruption to customers. We are the largest supplier of used NASCAR racing parts from today's top race teams with all kinds of chassis parts from ball joints to complete race cars. We take pride in the quality of our used parts and our ability to obtain new chassis and engine parts from over 150 different product lines. If you would like more information on who we are and what we do, please give us a call using our toll-free number 1-877-604-8077.